I had fun addings lots of layers and media to this page. 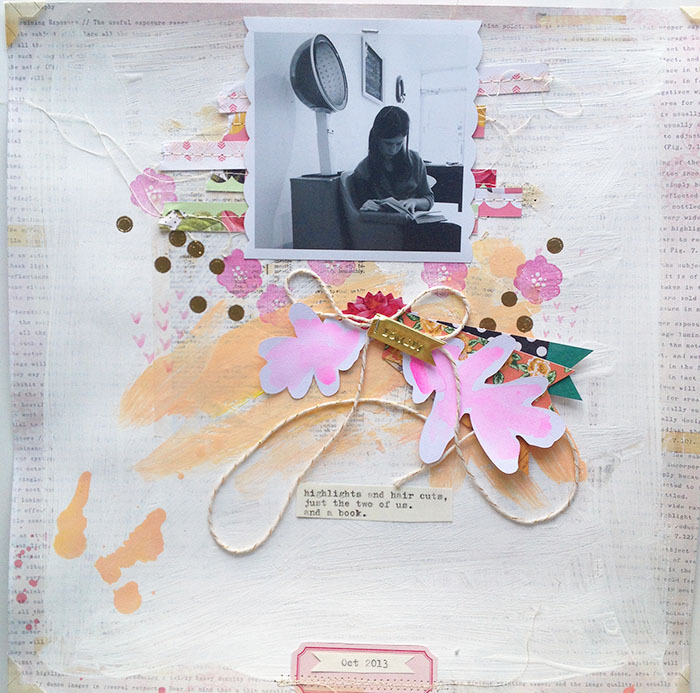 I started out with the text paper from my October Cocoa Daisy kit, and washed it with gesso. Then I brushed and pooled on some creamsicle watercolour, and let it dry. Then I painted on some little pink Vs, stamped flowers around, and then some polka dots that I heat embossed with gold ZING embossing powder. There were lots of pretty little bits in the October Cocoa Daisy kits, as usual. 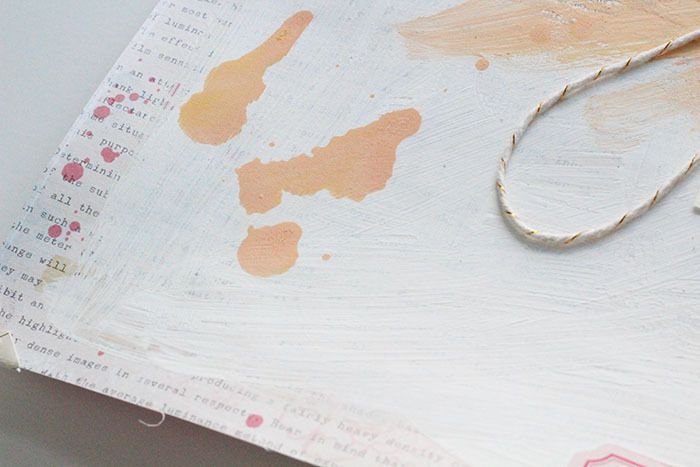 I loved these little flag banner pieces and gold vellum piece, and the gold twine. I painted some leaves I cut using the exclusive subscriber cut files for October. Dribbles of paint are lovely. I like the way the drips that are part of the patterned paper work so well with my real paint drips. I always keep the cut off strips -- especially Crate Paper ones! I love that pretty scalloped edge. Here I tore them in half, layered them where I wanted my photo to go, and then stitched them down. I added a little paint to the edge of the layout, too, just for some fun and interest. 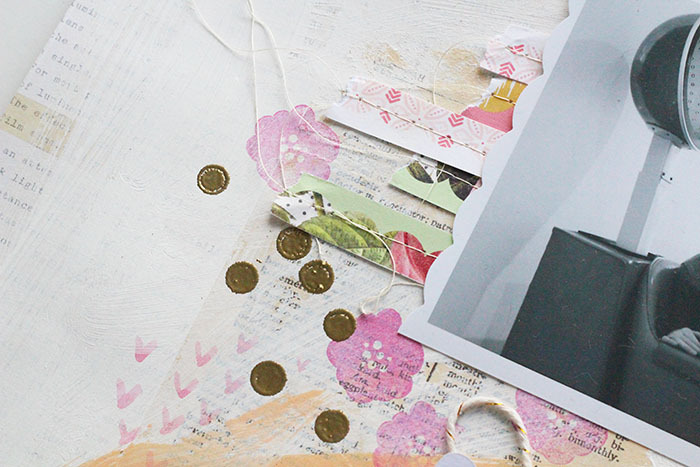 That pretty photo corner was a vellum faux ephemera piece included in the kits this month... it had gold foil printing on it. I used my photo corner punch. 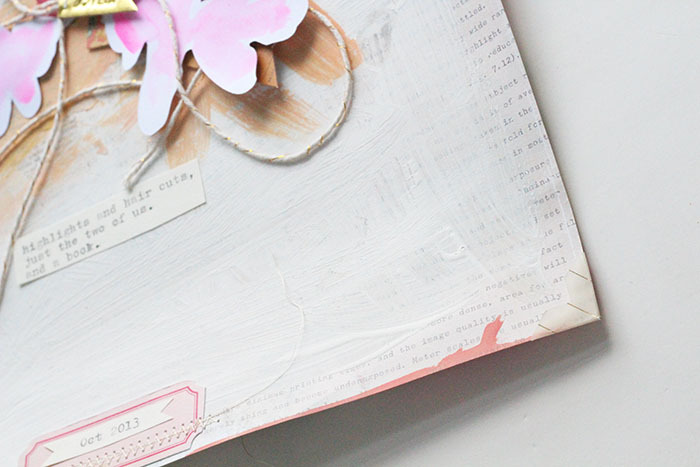 AND I had enough of the ephemera piece left over to layer on another project!! 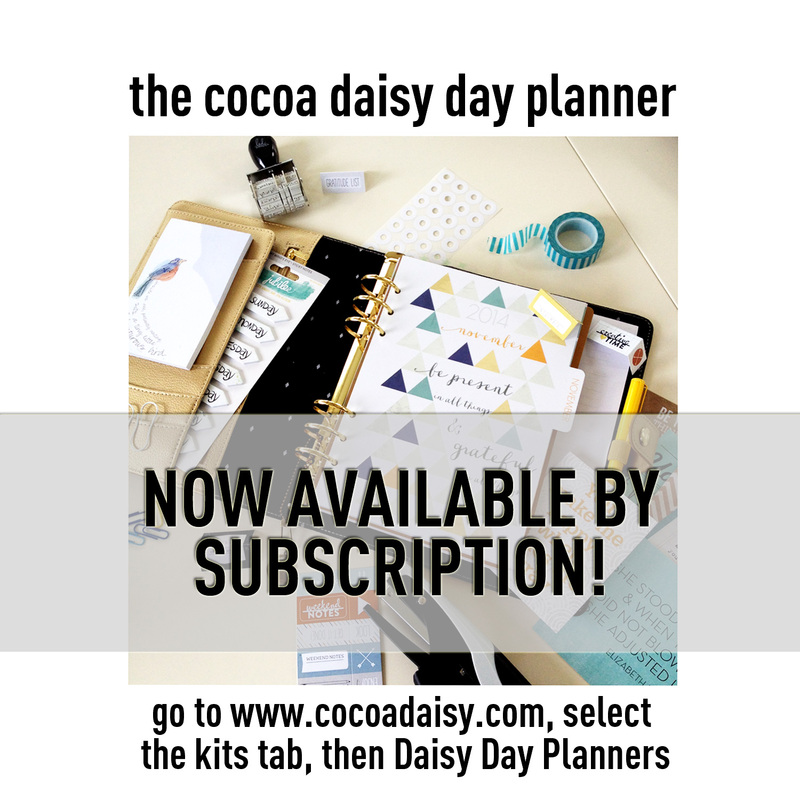 By the way, did you know the Cocoa Daisy daily planner is now available by subscription? Just saw this on insta! 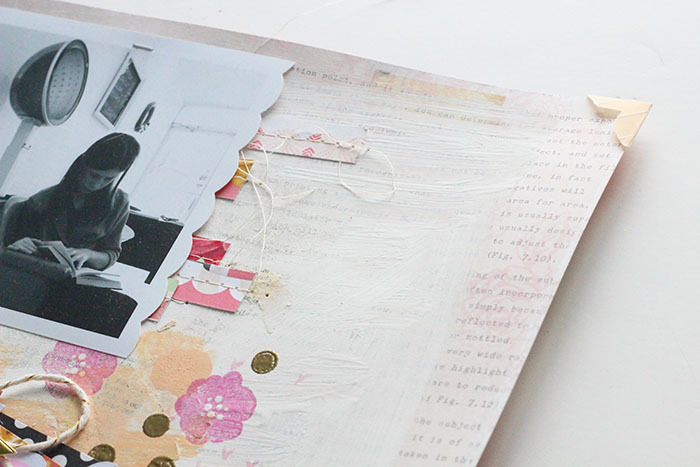 It's gorgeous, love the layers and the texture! Very inspiring ! 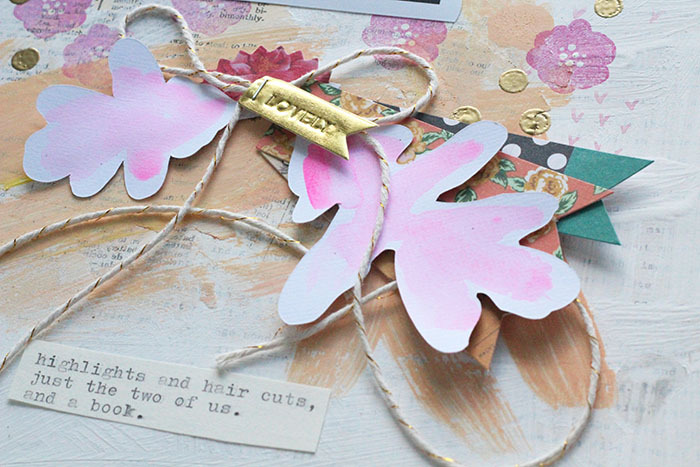 Love what you have done with the twine and all of the embellishments here. Great page! Oh wow! This page takes my breath away, its soooo gorgeous! I love everything about it!